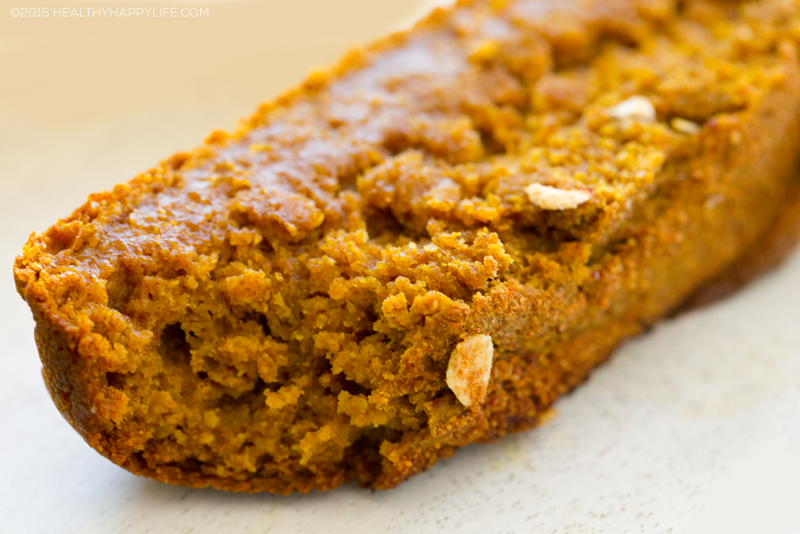 Vegan Pumpkin Loaf. Medjool Date-Sweetened. 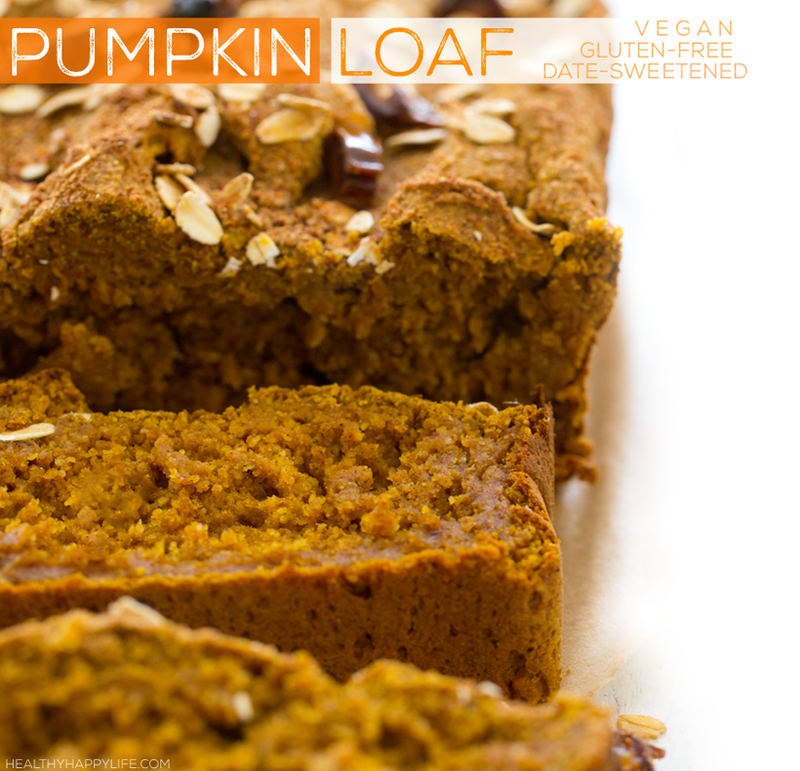 I like to make and post a different pumpkin loaf every year. 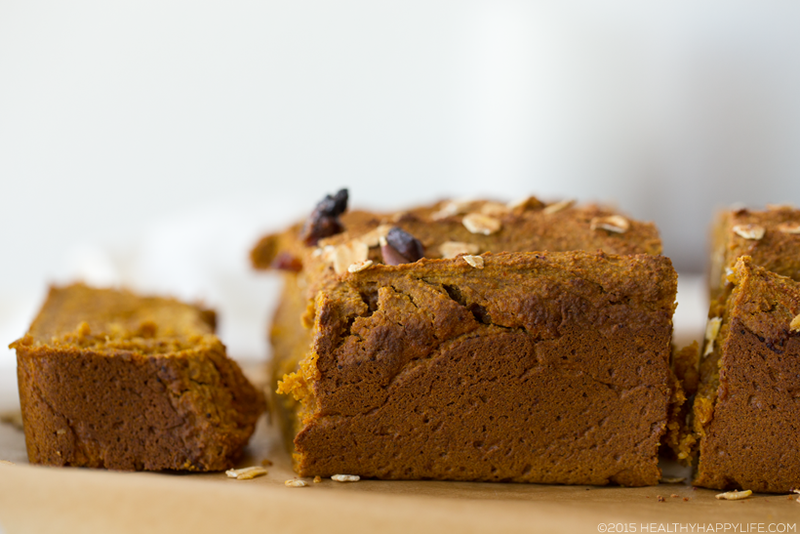 See links to my other pumpkin loaves and muffins ahead. And this year's recipe is quite the winner because it is free of refined sugar and sweetened with whole, caramel textured Medjool dates. It is also gluten free and of course animal-product free, aka vegan. 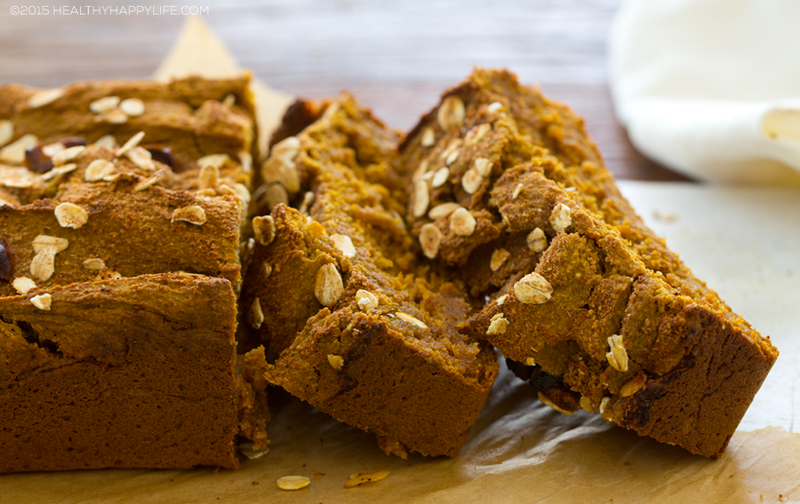 Super simple, super moist and blissfully cozy with flavors of fall pumpkin spice in every bite. 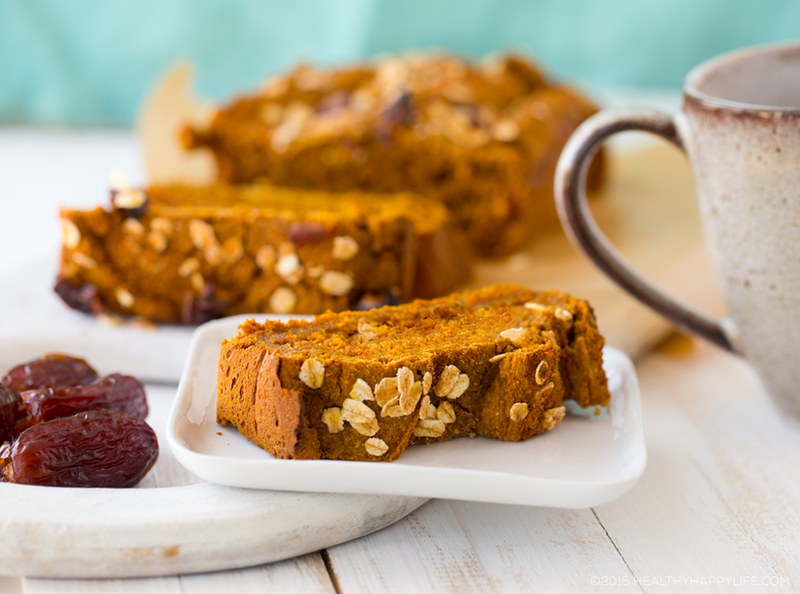 This recipe is perfect at breakfast time since a small slice contains close to 6g fiber. It is also very rich in vitamin A, potassium and is a good source of protein and iron. 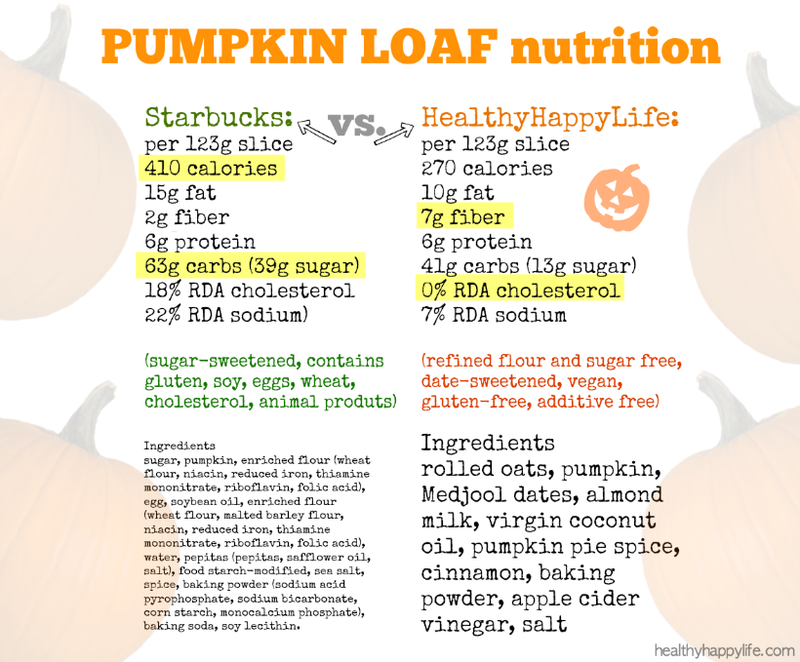 Plus, check out how is stacks up against Starbucks's famous pumpkin loaf in my pumpkin loaf nutrition comparison. Wrap slices for grab-n-go coffee or matcha pairing all week long! My first nibble on the fluffy end slice..
Not Gluten-Free? 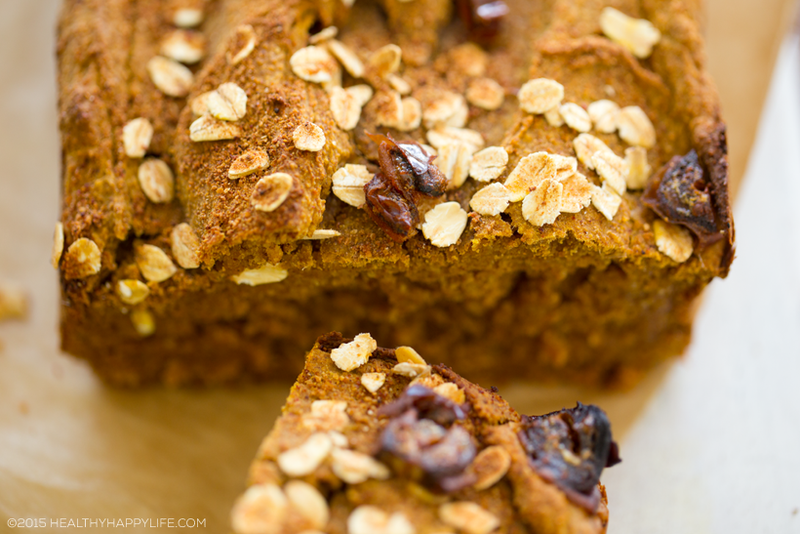 You can absolutely make this using all purpose flour in place of oat flour if you like your loaf with a bit more gluten-y body as I do sometimes. Back from a quick trip weekend to San Francisco for a beautiful wedding, today, Tuesday, feels like Monday. And I always love baking on Monday mornings, so today I popped open my very first pumpkin can of the season .. carefully .. if you remember my story from last year. I clicked on the oven and whipped up this super cozy and yummy loaf. My inspiration - Starbucks! Rolling your luggage through airport after airport can leave you gazing into plenty of Starbucks pastry windows in a fuzzy daze. As I picked up a soy matcha latte I gazed longingly at those pumpkin loaves. They look so pretty, but obviously they are not in my things-I-eat jar. Not vegan. 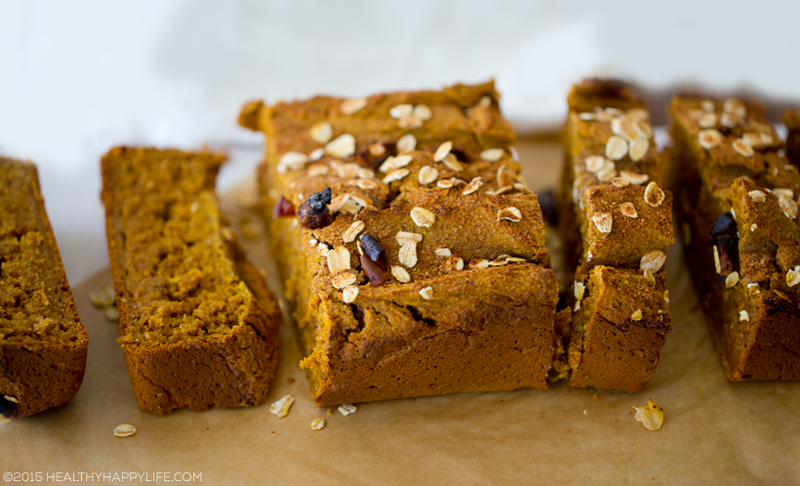 Later on, I compare today's recipe to the classic Starbucks pumpkin loaf! Very interesting nutrition stats upon doing a side to side comparison.. The gorgeous bride and I..
Garden strolling to the ceremony!.. ps. she had the most amazing VEGAN wedding cake by Black China Bakery. I devoured my slice before I thought to snap a pic. 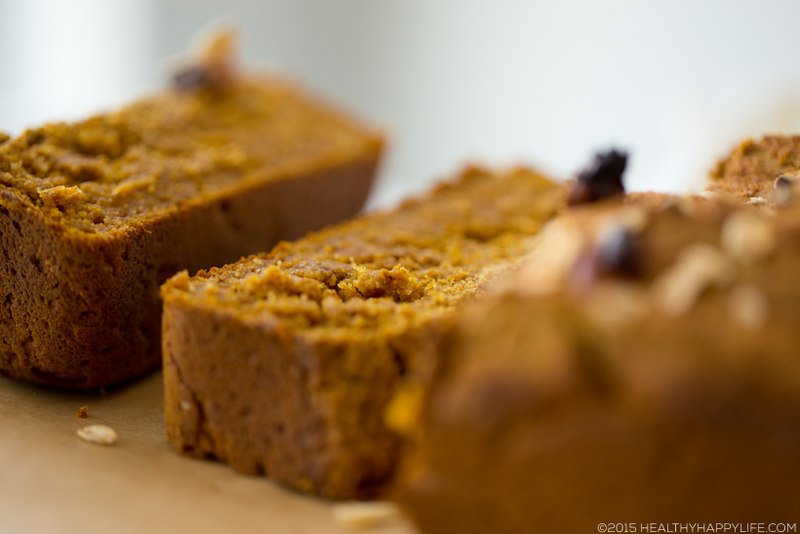 But today, this pumpkin loaf..
Date-sweetened! To add fiber, nutrients and sweetness.. 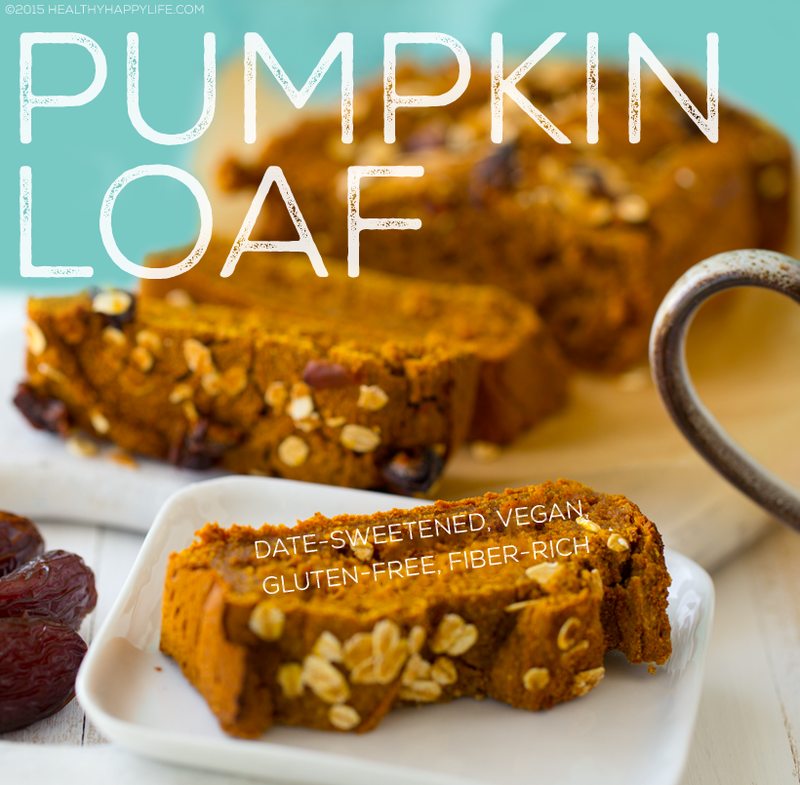 This fluffy, super moist real pumpkin loaf is vegan, gluten free and sweetened using caramel-textured Medjool dates. Add the pitted Medjool dates to a large mixing bowl and add 1-2 cups of hot water. Soak for 30-60 seconds -- just to soften them. Drain water and place soaked dates in your blender container. 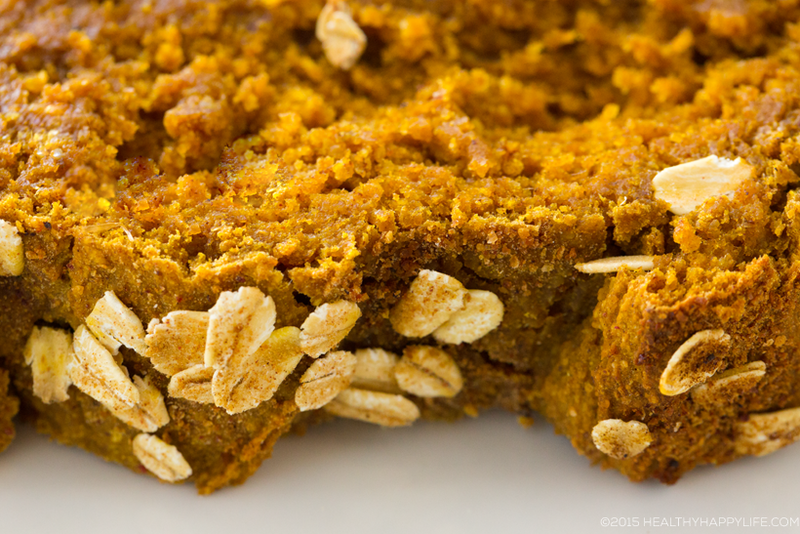 Process your 3 cups of rolled oats to make oat flour -- or use store bought oat flour. Add add the dry ingredients to the same (now empty) large mixing bowl and stir to combine. Add the almond milk, coconut oil, pumpkin and apple cider vinegar to the blender, with the dates, and blend from low to high until silky smooth. Pour the wet mixture into the dry bowl and stir to combine. Stir until fluffy - 1-2 minutes or folding the batter. Pour the batter into the loaf pan and smooth out top a bit. Add the toppings: chopped dates, oats and an optional sprinkle of date sugar (or coconut sugar). Bake at 400 degrees for ten miutes, then reduce heat to 375 and bake for another 25-30 minutes. You want the top of the loaf to be browned and slightly firm to touch, while the inside if cooked through and fluffy. Allow the loaf to cool for at least 20 minutes before slicing and serving. If you slice too soon, you may squish some of the fluffiness of the loaf. Store leftovers in the fridge - re-heat or serve chilled. Delicious served with tea or coffee! Want it Sweeter? If you really want this loaf to have a more dessert-y flavor and be a bit sweeter, I would suggest adding in a simple 1/4 cup coconut sugar and sprinkling some on top of the loaf before baking as well. But really, I am in love with the sweetness level of this date-sweetened version. No refined sugar added which is pretty cool! Don't Mind Gluten? 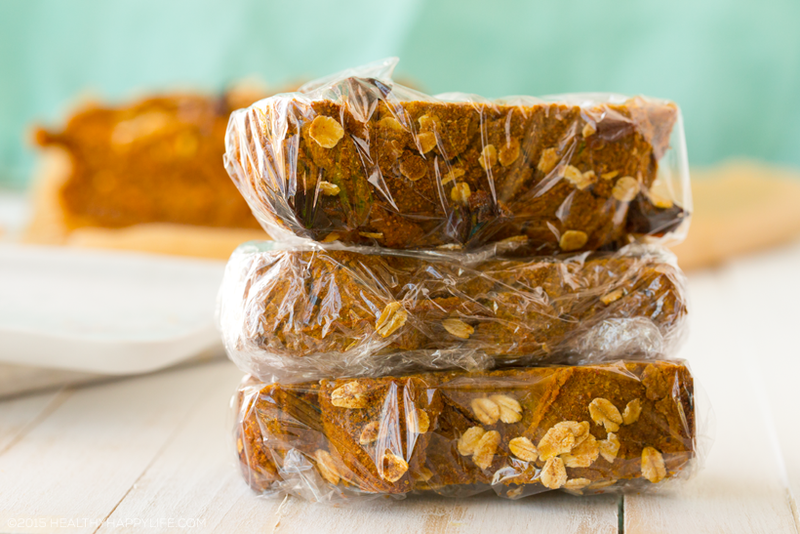 You can absolutely use traditional flour in place of oat flour. 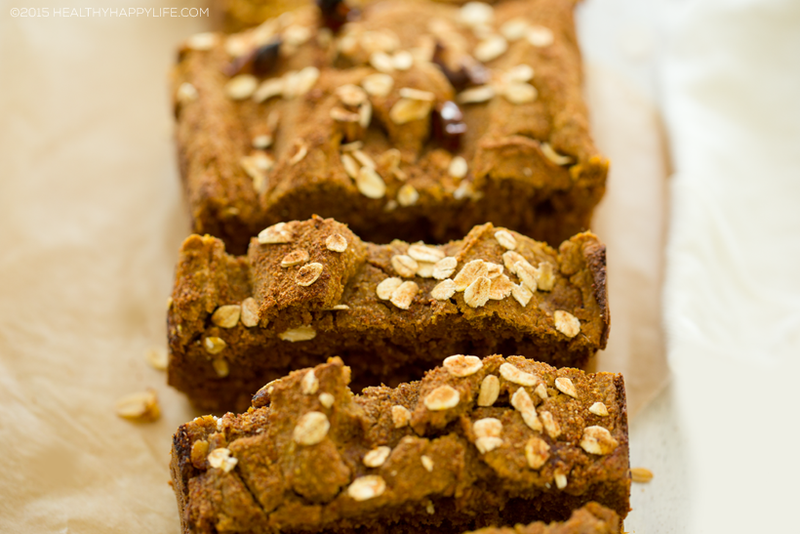 I would suggest using 2 1/2 cups traditional wheat flour in place of the 2 1/4 cups oat flour. You may also want to add in 1 tsp ground flax seeds to add some fiber and binding power, since the oat flour does an excellent job at that. Make it Nutty! Fold in some chopped pecans or walnuts for a nutty boost. Make it Apple-Infused. Fold in chopped apples for a delicious fall-inspired fruit accent. 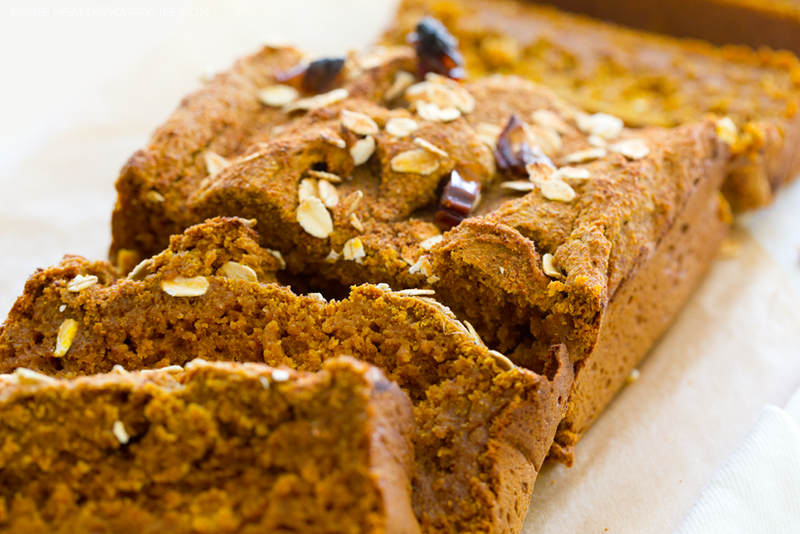 Want More Pumpkin Loaf + Muffin Recipes?